Our next event will be Saturday, January 30th at Charlotte Catholic High School (meeting in the chapel in front of the school) followed by prayer at Family Reproductive Health on Hebron Rd. with Fr. Matthew Kauth. 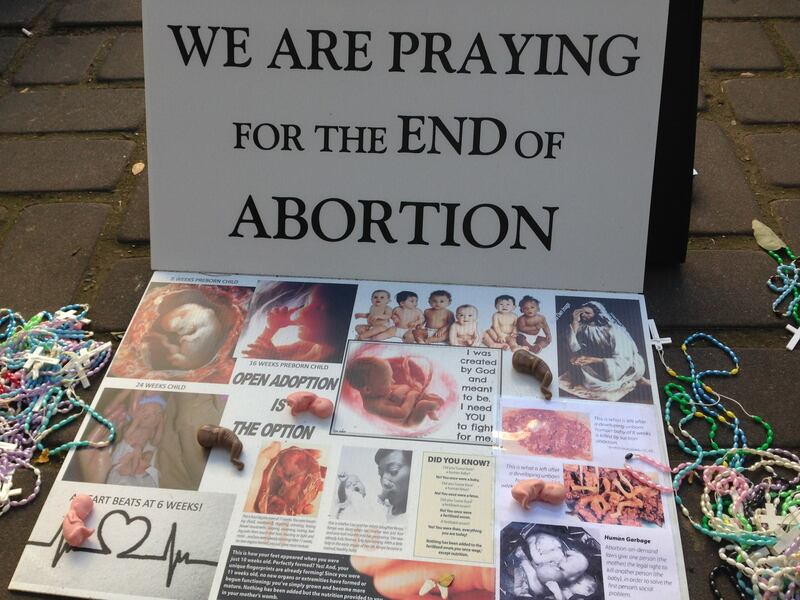 We’ll start with 9am Mass in the school chapel followed by 10am Procession for Life on the abortion clinic sidewalk. This event will be especially geared towards our Catholic youth, so spread the word! Please print, email, share, and hang this January 2016 Procession for Life flier. See you there! Storms and flood warnings in the Carolinas on this day, but nothing stopped our faithful servants of God. 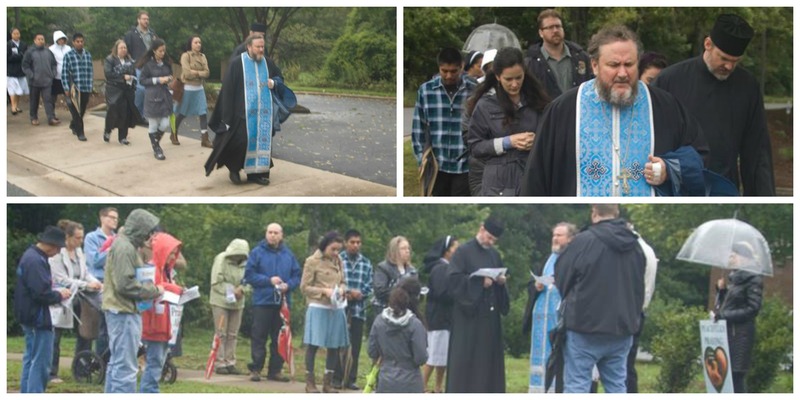 Thank you all who braved the severe weather to attend the Helpers of God’s Precious Infants vigil. Special thanks to Fr. Shuey and Fr. Deacon Hanes for leading the vigil. Fr. Shuey drove from Raleigh that morning. Stay tuned for our next Procession for Life in January.